The global smart pills technology market is expected to register a CAGR of 16% during the forecast period of 2018�2023. The smart pill is a wireless capsule that can be swallowed, and with the help of a receiver (worn by patients) and software that analyzes the pictures captured by the smart pill, the physician is effectively able to examine the gastrointestinal tract. Gastrointestinal disorders have become very common, but recently, there has been increasing incidence of colorectal cancer, inflammatory bowel disease, and Crohn�s disease as well. The other factors, such as the increasing incidence of gastrointestinal disorders, technological advancements, and ability to track bodily functions and forewarn potential illness are driving the smart pills technology market. There are certain risks associated with smart pills that might restrain their use. A smart pill usually leaves the body within two weeks. Sometimes, the pill might get lodged in the digestive tract rather than exiting the body via normal bowel movements. The risk might be higher in people with a tumor, Crohn�s disease, or some surgery within that area that lead to narrowing of the digestive tract. CT scan is usually performed in people with high-risk to assess the narrowing of the tract. However, the pill might still be lodged even if the results are negative for the CT scan, which might lead to bowel obstruction and can be removed either by surgery or traditional endoscopy. Smart pills might lead to skin irritation, which results in mild redness and need to be treated topically. It may also lead to capsule aspiration, which involves the capsule going down the wrong pipe and entering the airway instead of the esophagus. This might result in choking and death if immediate bronchoscopic extraction is not performed. Patients with comorbidities related to brain injury or chronic obstructive pulmonary disease may be at a higher risk. So, the health risks associated with the use of smart pills are hindering the smart pills technology market. The other factors, such as increasing cost with technological advancement and ethical constraints are also hindering the market. In 2017, the United States smart pills technology market held the largest market share in North America due to the presence of high-quality healthcare systems and modern medical technology in the country. Additionally, the growing healthcare policies from the government is likely to contribute towards the growth of the smart pills technology market. � September 2017: Scientists developed a miniature medical chip called as ATOMS, which can be used in ingestible smart pills to diagnose and treat diseases within the body. � November 2017: The FDA approved the first digital pill called Abilify MyCite. Major Players: NOVARTIS AG, PROTEUS PHARMACEUTICALS, PHILLIPS, MICROCHIPS, VITALITY, PIXIE SCIENTIFIC, OLYMPUS MEDICAL TECHNOLOGY, GE HEALTHCARE, BOSTON SCIENTIFIC CORPORATION, and GIVEN IMAGING LTD, among others. � Follow the current and future global smart pills technology market in the developed and emerging markets. � Examining the various perspectives of the market with the help of Porter�s Five Forces Analysis. � Identify the segment that is expected to dominate the market. � Identify the regions that are expected to witness the fastest growth during the forecast period. � Identify the latest developments, market shares, and strategies employed by the major market players. � 3-month analyst support along with the Market Estimate sheet (in Excel). 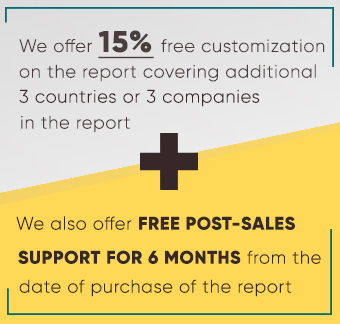 � This report can be customized to meet your requirements. Please connect with our representative, who will ensure you get a report that suits your needs.